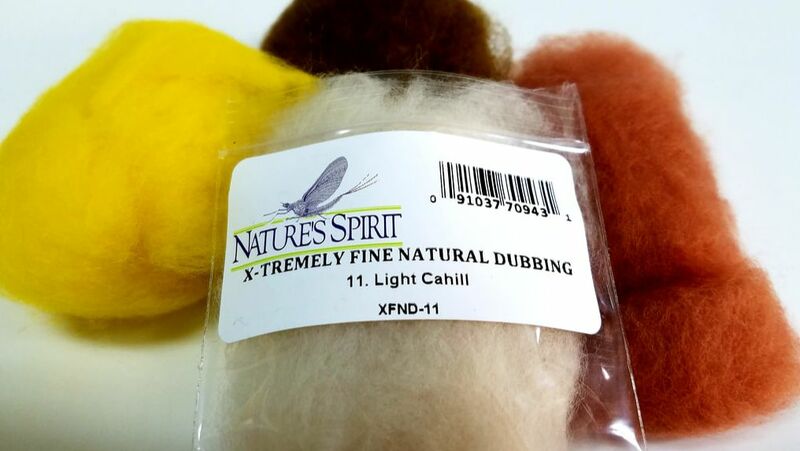 Fine natural fleece dubbing which comes in a fabulous array of buggy colors, many originally formulated by Rene' Harrop. The fibers are long and carefully carded (aligned) by Julie to create a hand crafted, superior product. 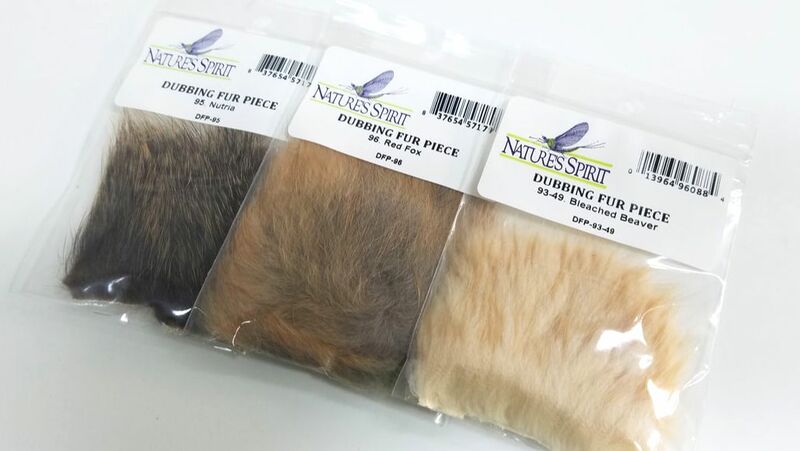 Fine Natural Dubbing is an excellent all-around dubbing, easily tapered into tight, durable bodies. Also available in a 12 color dispenser. 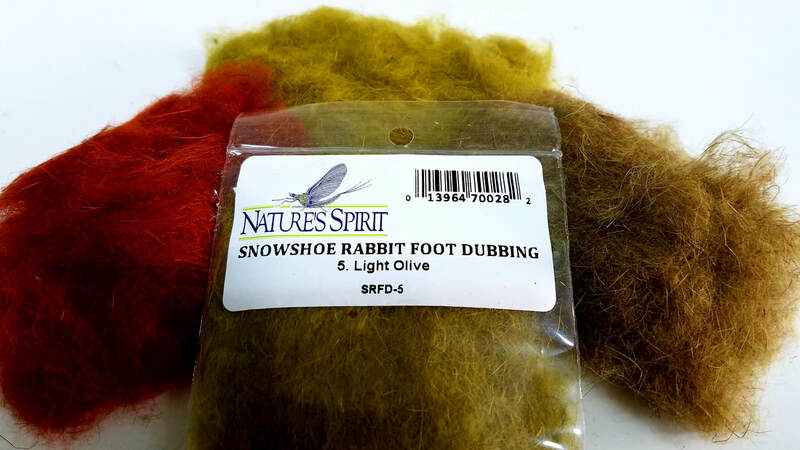 This dubbing is a blend of rabbit fur and spiky fur trimmed from the hind feet of snowshoe rabbits. Many of the colors are achieved by blending several different colors together; very buggy! This is a unique product well worth trying. Also available in a 12 color dispenser. 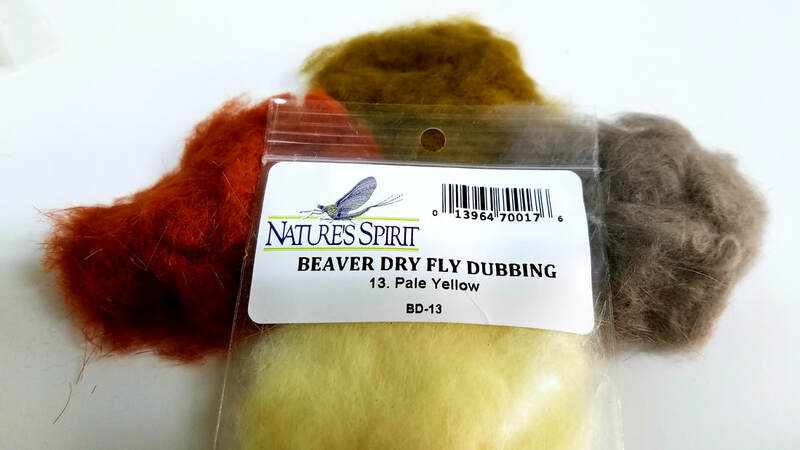 Beaver is one of the best dry fly dubbing on the market, due to its naturally ability to repel water. 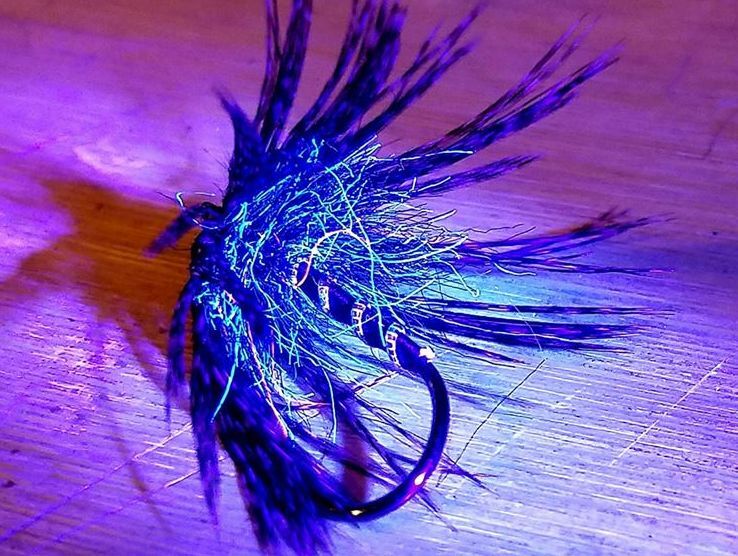 Easy to use and spin on your thread for any size of dry fly. 100% beaver with no additives. A rare departure from the natural theme at Nature's Spirit. This 100% trilobal antron dubbing has the right fiber length and diameter for easy dubbing. All 30 colors are blends. Also available in 12 color dispensers; either natural or bright selections. This is a super blend of synthetic fibers treated with a UV enhancer dye. 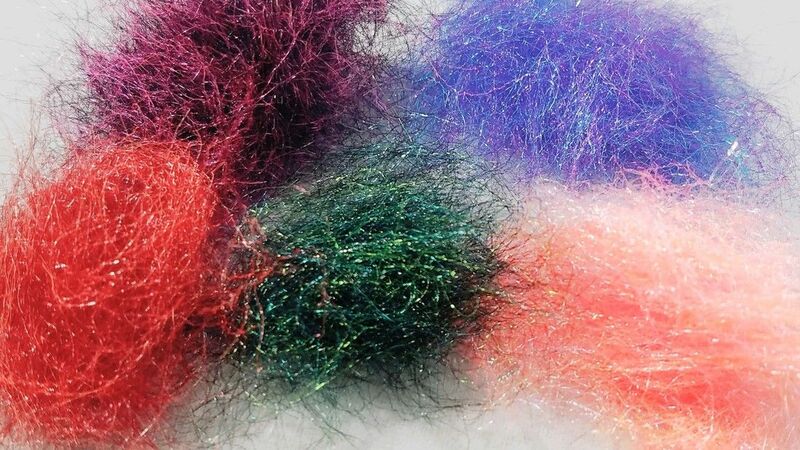 The blend is mixed with UV dyed and Non-UV dyed fibers, with at least 50% of the dubbing UV. This gives the fibers a tracing effect through the dubbing. 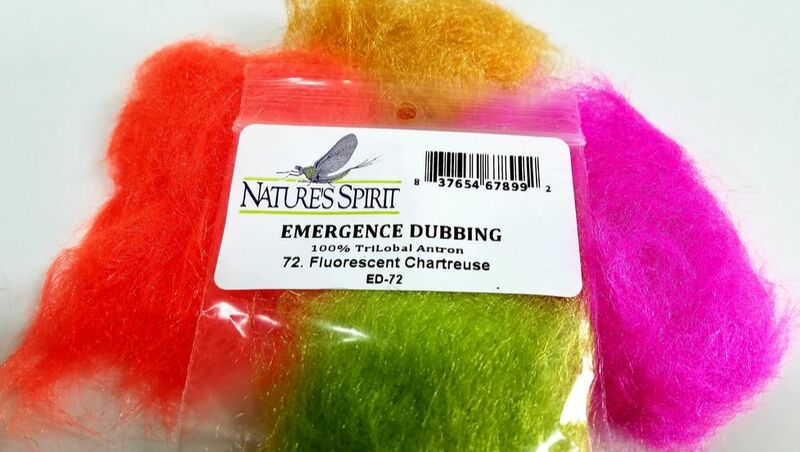 This mid length dubbing is perfect for trout and steelhead flies. Long staple rabbit, trilobal antron and at least 10% blended hare's mask go into each package. 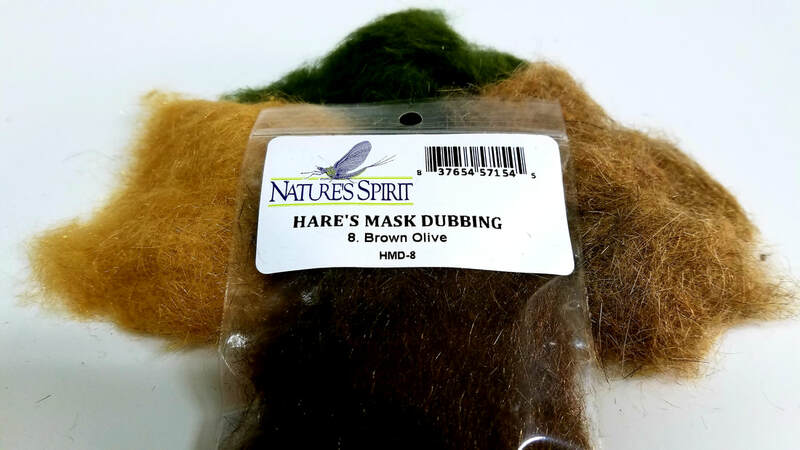 Blended materials, blended colors making a custom rabbit-based dubbing. Also available in a 12 color dispenser. 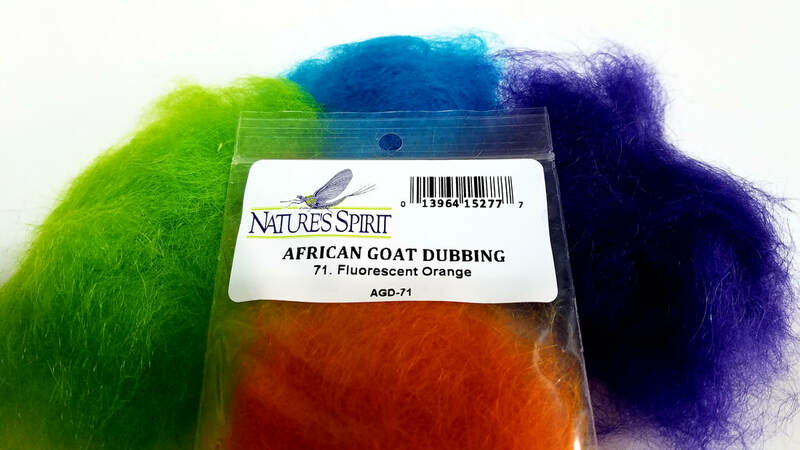 African Goat Dubbing is a perfect seal fur replacement. 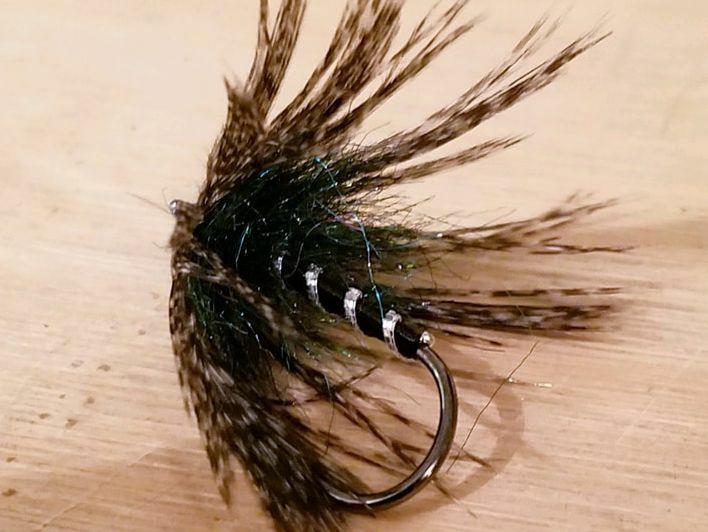 Used or classic salmon and steelhead flies. All of the dubbing have their one dispenser, and some even have 2. all of those are listed here. 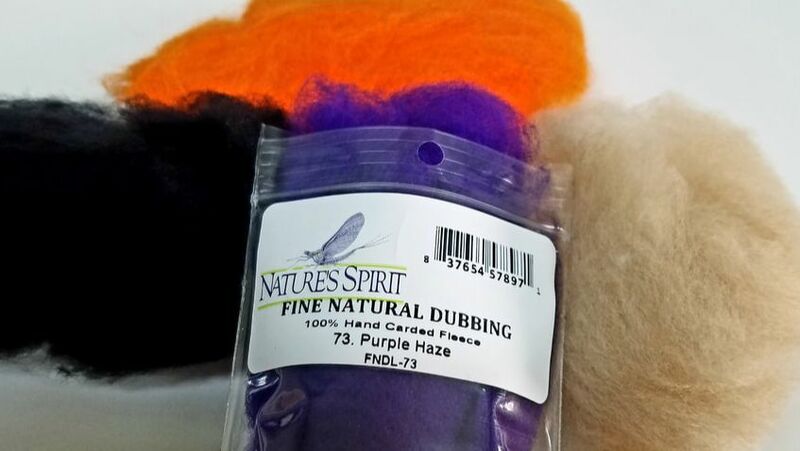 Julie takes our fine natural dubbing fleece and spins it into an incredibly fine diameter yarn suitable for small flies (may be doubled for larger patterns). 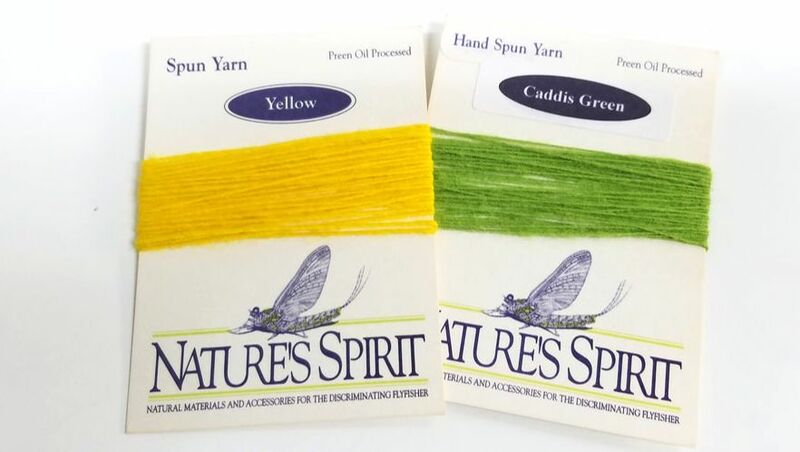 What makes hand spun yarn unique is that it is a single ply yarn that can be easily twisted tighter for a nice segmented body, or untwisted and wrapped flat on the hook for a smoother finish. 5 yards. 94- Opossum - Seal Sub.